CM Yogi Adityanath calls the Padmavati director Sanjay Leela Bhansali guilty! 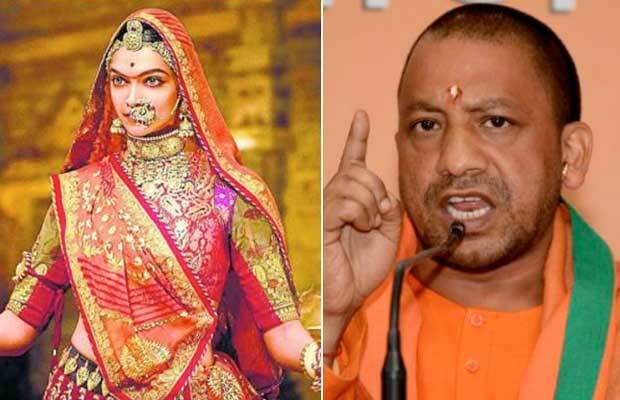 The verbal attacks on the film Padmavati and its makers continue as the chief minister of Uttar Pradesh, Yogi Adityanath has lashed out at Sanjay Leela Bhansali. While the Rajput Karni Sena has already been targeting him along with Deepika Padukone, the politician also has spoken against the director. Uttar Pradesh’s Deputy Chief Minister Keshav Prasad Maurya has already said that they will not let the film release in their state unless the controversial parts are removed and the necessary changes are made. Apart from this, the state governments of Madhya Pradesh and Punjab have already banned the movie in their respective states. Also, Vasundhara Raje, the Chief Minister of Rajasthan had written a letter to the Information and Broadcasting minister, Smriti Irani stating that she will let Padmavati release in her state only if the controversial parts are removed. The film, since its very inception, has been facing issues. From the sets being vandalised to the director being slapped by a member of Karni Sena, the film had faced many hurdles. And now when the film was so close to its release, the politicians have added to the trouble of the makers of Padmavati. Due to all such issues, they had to even postpone the release date of the film, which was earlier stated to release on December 1, this year. Now there are even possibilities of the movie being pushed to 2018. Padmavati stars Deepika Padukone, Ranveer Singh and Shahid Kapoor. Next articleKahaani Ghar Ghar Kii Actors Rinku And Kiran Karmarkar To End Their Marriage?